Eat Less: Peanut Butter is My Go-To Grub | Less. More. Abundantly. Of late I have been seeking to downgrade destructive foods and upgrade to creative foods. I look at destructive foods as those that have little or no nutritive value. In their consumable vacuousness destructo-foods actually make my joints feel worse and my emotions more out of control and my tuckus ever expanding. Creative foods are those which have nutritive or healing value. I have come to one inarguable conclusion. 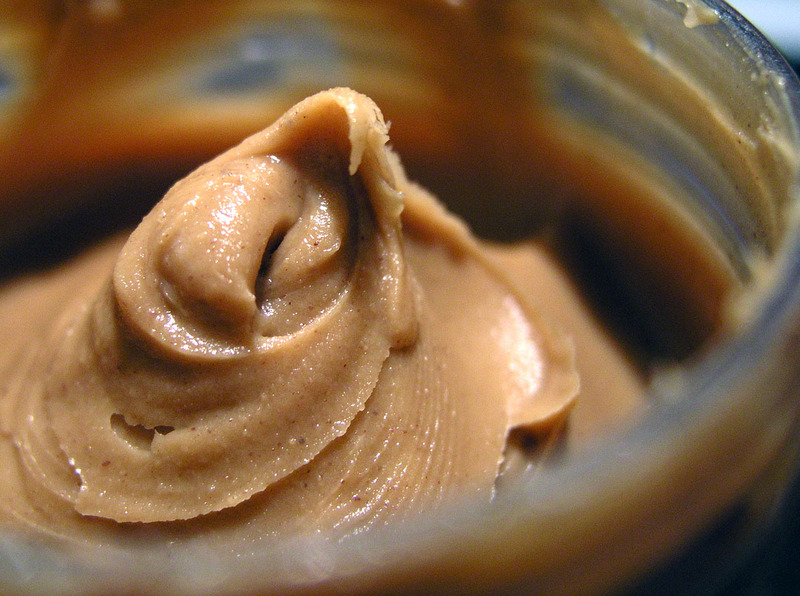 Peanut butter is the world’s most perfect food. I’ll link to a blog about how awesome peanut butter is to professional athletes and body builders, of which I am neither. Suffice it to say, I like it for reasons other than how awesome it will make my abs rip. Growing up Mom would make peanut butter and jelly sammiches. I would request them to be served, ‘not put together’ lest the jelly sully the nutty goodness. Most of us who were blessed to grow up with mothers who made peanut butter sammiches have some memory or other associated with this creamy spread of joy. It isn’t the memories exclusively. It’s the convenience. I often eat standing up or on the run. Peanut butter on whole wheat is a staple breakfast for me. It was my snack tonight. I’m a crunchy, natural peanut butter kind of girl. I am surrounded by a houseful of men who consume their peanut butter from the creamy jar. Perhaps my choice of formats reveals something about my temperament and those in my family. Yep, I’m the crunchy one. What’s your ‘go to’ grub? Have any peanut butter stories to share? Speak up, I can’t understand you, with the peanut butter stuck to the roof of your mouth!